Once you've created a position, click Collaborators in your recruitment pipeline. 3. 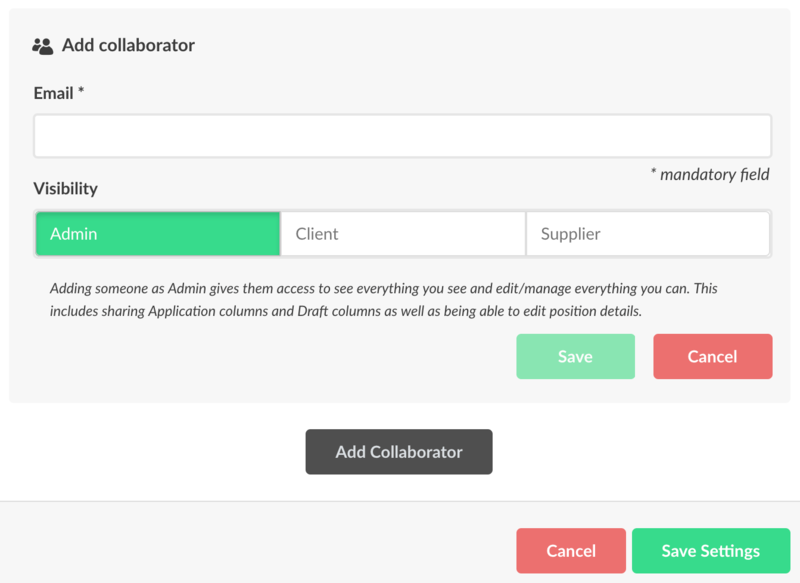 Type your collaborator’s email and choose whether they are a client, supplier, or admin. The different roles will control your collaborator’s rights and what they can see in the pipeline. Read more about different user rights in Happo. 4. A request / invite is sent to your collaborators. 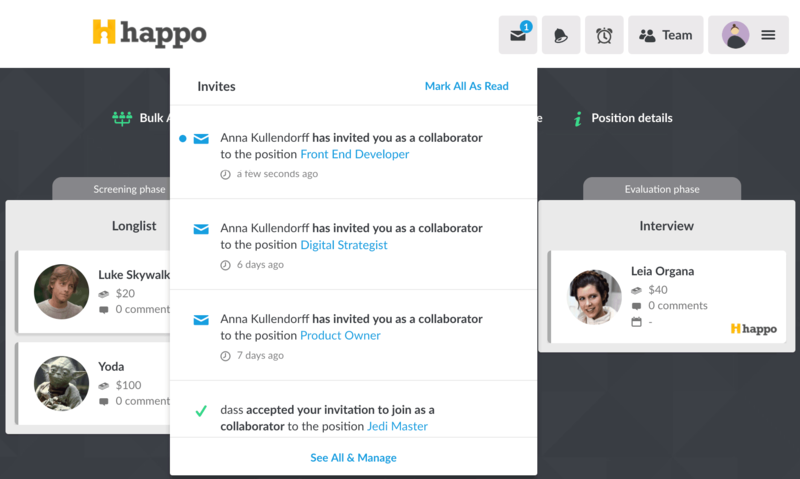 They’ll receive the invite in both their Happo inbox and their email and can choose to accept or decline and include a comment with their response. 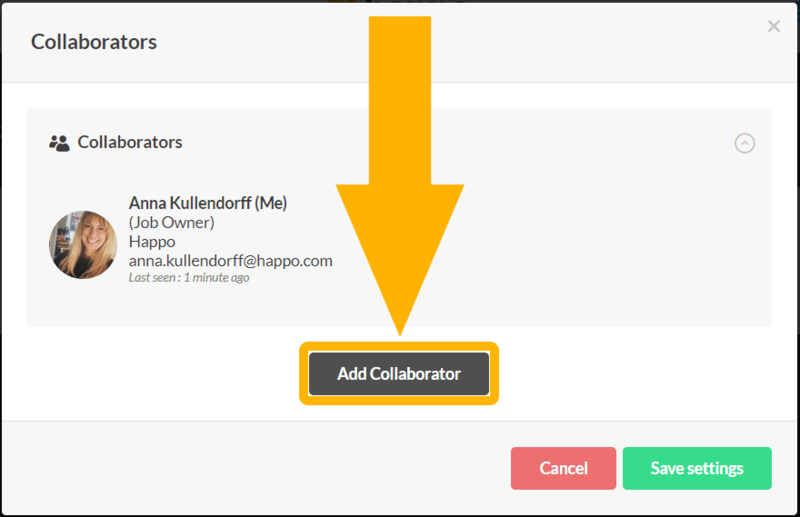 You’ll find all your collaborators' responses in your Happo inbox and in your email. 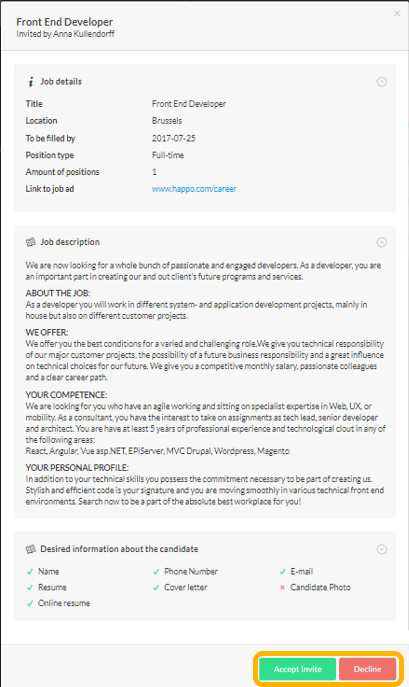 Collaborators who choose to join are now ready to start working in Happo!